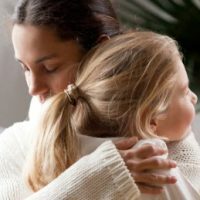 As attorneys who regularly advise clients on obtaining a divorce, we regularly hear clients express concerns over the well-being of their children throughout the process. Understanding where children are at, developmentally, can help you get them through divorce. And yet, while a number of couples try to delay divorcing until their children are older, thinking this will be less traumatic for them, in fact, a new study reveals that divorcing is less harmful if it occurs earlier in childhood. According to study results, children between the ages of three and seven whose parents divorced demonstrated no differences regarding emotional and behavioral problems compared to those whose parents did not get divorced. The study makes it clear that divorce during a child’s early adolescence clearly carries more potential repercussions than doing so early in childhood. The study also found that children from more privileged backgrounds were equally likely to suffer mental health problems as their less advantaged peers after a family breakup, and mothers who divorced when their children were older versus younger also tended to experience more issues. For pre-teens (ages 12 to 14), the process can be more difficult. Anger and irritability can occur. Keep lines of communication open, and do not hesitate to seek out assistance via counseling if necessary. Deciding to get divorced, and when it would be best for you and your family, is a completely subjective, personal decision. However, having a divorce attorney by your side to help advise you through the process and ensure that you and your loved ones are protective is an important component of getting through it and moving on with your life. Contact our Coral Springs divorce lawyers at HVW Law Group today to find out how we can help you with this difficult time in your life.